SaltConf16, the third annual SaltStack user conference, will sell out soon. SaltStack, the developers of intelligent IT automation for complex infrastructures at scale, today announced details of SaltConf16 as the largest annual gathering of SaltStack customers, partners and community focused on intelligent infrastructure orchestration, event-driven IT automation, DevOps and configuration management at massive scale. SaltStack expects a sold out conference with more than 500 attendees converging on The Grand America Hotel in Salt Lake City, April 19-21. SaltConf16 registration is still open with group discounts available for teams of four or more working for the same company. 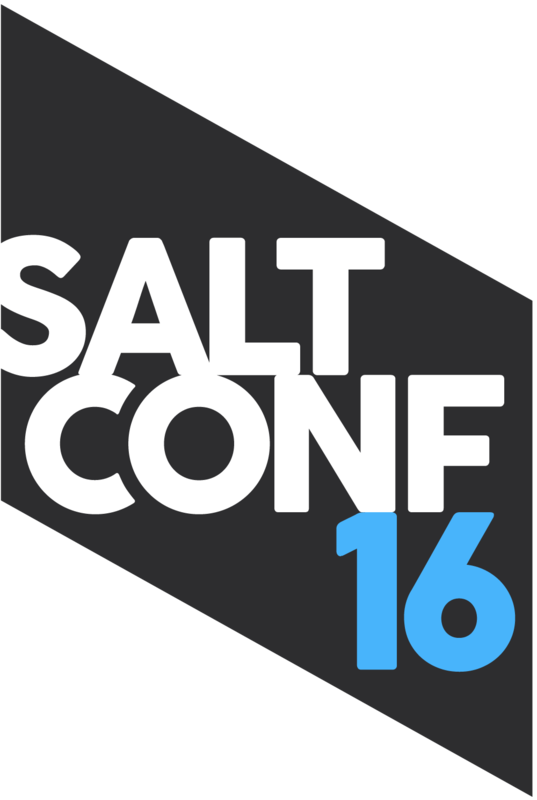 SaltConf16 is expected to sell out soon. Visit http://www.saltconf.com for all the details and to register. The SaltConf16 program includes more than 70 keynotes and breakout sessions with dozens of SaltStack use cases presented by SaltStack customers and users and in-depth tech talks from the SaltStack brain trust. The SaltConf16 speaker lineup includes talks from companies like Aetna, Dun & Bradstreet, Dutch Government data centers, Hewlett Packard Enterprise, IBM Cloud SoftLayer, Lyft, Pure Storage, National Instruments, SUSE, USDA, Virtustream, VMware and dozens more. SaltConf16 is sponsored by the leading names in enterprise infrastructure and DevOps including IBM Cloud SoftLayer, Hewlett Packard Enterprise, SUSE, Virtustream, VMware, Google Cloud Platform, Izeni, Linode, PagerDuty, StackIQ, Sumo Logic, XebiaLabs, Zenoss, Adobe, LANDESK, LinkedIn and Packt Publishing. Attend SaltConf16 and learn how SaltStack works with each of these partners to automate and orchestrate intelligent IT. Linode, SaltConf16 Silver and Cloud Sponsor, is providing cloud instances for most of the hands-on training courses. Google Cloud Platform, SaltConf16 Silver Sponsor, is providing cloud instances for the "Managing Windows with SaltStack" hands-on training course. The SaltStack Certified Engineer exam will be available for free at the conference to SaltConf16 attendees who have taken SaltStack training or SaltConf16 Pre-Conference Training. 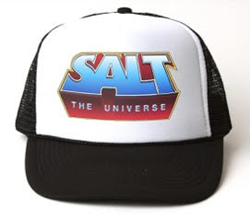 The SaltConf16 welcome reception will be held on Tuesday, April 19 from 7:00 - 9:00pm and will provide a hat-making station where attendees can make a hat using one of eight radical SaltStack-themed, 1980s-inspired decals. On Wednesday, April 20 at 6:30pm, the SaltConf16 conference party will have even more wicked-awesome surprises while taking attendees back to the days of hanging out in your mom’s basement playing Zelda and watching Star Wars. Also on Wednesday night at 5:30pm, the next great Salt Sprint, hosted by Adobe, will be held across the hall from the conference party. Most of the SaltStack software engineering team will be in attendance and this Salt Sprint will get busy building new Salt modules and fixing bugs. Food, drink and fabulous prizes will be provided to attendees by SaltStack and Adobe. If you plan to join the SaltConf16 Salt Sprint and already have a module in mind to build or a bug to squash, tweet us at #SaltConf16 or send us an email at saltconf at saltstack dot com with your requests and ideas. Thank you to IBM Cloud SoftLayer, Hewlett Packard Enterprise and Adobe for their support of the SaltConf16 welcome reception, conference party and Salt Sprint. An invite-only SaltStack Enterprise 5.0 beta launch event on Wednesday, April 20 from 5:30 - 6:30pm. Send a note to sales at saltstack dot com for more information. Pre-Conference Training courses titled, "An Introduction to SaltStack Enterprise 5.0," and "Advanced SaltStack Concepts”. Two SaltStack executive keynotes with demos and an architectural overview. "Introduction to SaltStack Enterprise 5.0" breakout session. Live demos in the SaltStack expo hall booth. SaltStack provides enterprise IT operations and DevOps organizations a central point of control for intelligent, event-driven orchestration and automation any cloud platform, data center infrastructure or application stack. SaltStack software helps businesses offset the risk of cloud and IT investments through increased infrastructure efficiency and improved software compliance and security. SaltStack software was designed from the beginning to automate the management of massive infrastructure and extremely complex software environments typical to Web-scale data centers and enterprise IT operations. SaltStack is used to control any public or private cloud infrastructure, providing autonomics that intelligently react to machine or human-generated events to keep mission-critical applications, systems and infrastructures available and secure. Follow @SaltStack or #SaltConf16 on Twitter. SaltStack is a complete systems management software platform for fast and scalable automation of any cloud, application stack or data center infrastructure. Specifically, SaltStack is used by system administrators and developers to intelligently automate configuration management, private cloud building, public cloud orchestration and autonomic infrastructure. SaltStack won the Best of VMworld Gold Award for virtualization management, won an InfoWorld 2014 Technology of the Year Award, won the 2013 GigaOm Structure LaunchPad competition, was named a Linux Journal Reader's Choice product in five categories, was named a Gartner 2013 Cool Vendor in DevOps, and was included on the GitHub Octoverse list for 2012 and 2013 as one of the largest, most-active open source projects in the world. For more information, please visit http://www.saltstack.com.